An old Hispanic man pushed a tamale cart down the streets of Rosenberg, Texas, in 1974. Iris Galvan, 18-year-old high school student and member of Juventud Unida, approached him with a warm, welcoming demeanor. The man shrugged off her suggestion, saying that he knew his voice didn’t matter. “I don’t speak very good English,” he said. Galvan was reaching out to the man on behalf of Juventud Unida, or United Youth, a youth group that sought to encourage Mexican Americans in Rosenberg to vote. She continued to encourage the man to vote, regardless of his reading and writing abilities, and went on to tell him about the ways in which he could receive assistance at the polls. She doesn’t remember if he ever voted, but it was the connection that counted. “As an 18-year-old, that was the first time I was able to have real contact with someone,” Galvan said. Galvan was born in 1957 in Sinton, Texas, a town about 30 miles north of Corpus Christi. Coming from a family of migrant farm workers, she understands the value of work and education. Her grandparents had crossed the border from Mexico in 1908 and made a living in southeast Texas, farming goats and horses. Her father, José Galvan, made an earnest living as an oil field worker. 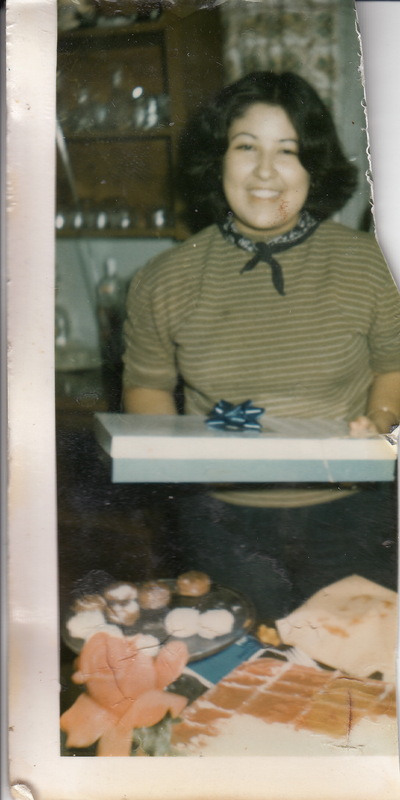 Her mother, Gloria Garza Galvan, was a nurse. With her parents always working, Galvan said she spent most of her time with her grandmother. “I was always a grandmother’s girl,” Iris Galvan said with a smile. Galvan recounted that the best part of her day as a child was leaving school to spend time at her grandmother’s with her cousins. It was there that she would listen to stories about her family’s ancestry, something very dear to her heart. It was also there that the value of education was instilled in her. “She would always sit down and explain to me, ‘You are very smart. You can be a psychologist or whatever you want to be,’” Galvan said. Her grandmother would offer her words of wisdom as she hung clothes on the line, Iris sitting at her feet. Growing up in Sinton, Galvan said she never recognized any prejudices against Mexican Americans or African Americans. That changed when she moved to Rosenberg in the fourth grade. “I had a very high reading level when I was in the fourth grade. When I came to Rosenberg, they put me in the midrange reading classes. I would ask the teachers why I was in that level, and I was never given a real explanation. I was just another Mexican kid,” Galvan said. The notion of being “seen and not heard” prompted Galvan to become active in politics in Rosenberg. 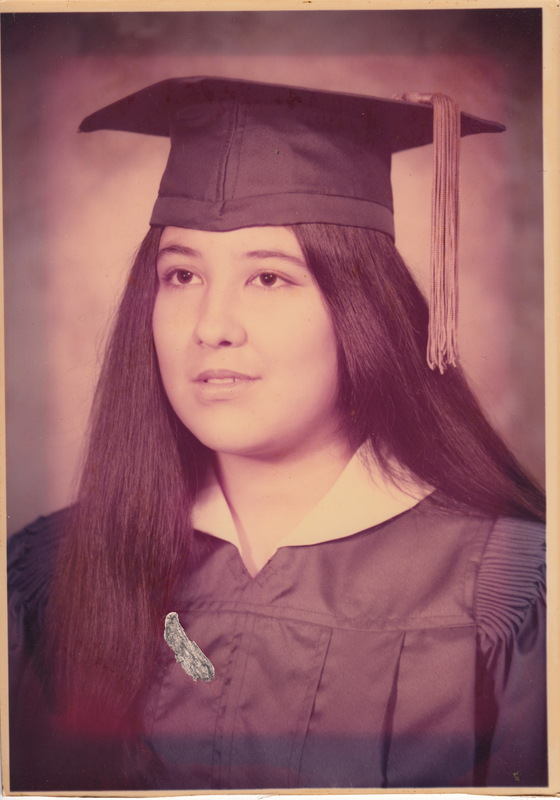 In 1974, when she was only 17 years old, she and other young students formed Juventud Unida, a youth group that encouraged Mexican Americans in the community to vote. Galvan -- along with Rudy Velasquez; Joe Rincón Jr.; his sister, Elsa; Nora Sanchez; Lupe Uresti; and others -- dedicated their free time to educating the Mexican community about politics and voting. Members of Juventud Unida worked with Hispanic political leaders such as Dora Olivo, who served in the Texas Legislature from 1977 through 2011, to encourage the Mexican community to vote. Galvan said the group took action when they realized the Democratic Party was not being well-represented in Rosenberg. They were also angered by the lack of assistance Mexican Americans were receiving at the polls. These types of injustices against Hispanics across the U.S. led to the creation, in 1974, of the Southwest Voter Registration Education Project, the largest and oldest nonpartisan Latino voter participation organization in the United States. The organization was founded by William C. Velasquez, who was also one of the founding members, in 1967, of the Mexican American Youth Organization. Galvan said she was the first person in Rosenberg to write a letter to Velasquez requesting help. Her demands were heard, and through the project Juventud Unida began to receive help in their efforts. Galvan said Olivo, Uresti, Felicita Arriaga and other adults in the community got together with the members of Juventud Unida and began to register people in the community to vote. They had been increasingly angry about irregularities at the polls -– particularly when there were Mexican-American candidates. The Southwest Voter Registration Education Project’s slogan was “Su Voto Es Su Voz” -- “Your Vote is Your Voice.” Galvan chose to live her life by that motto. A common feeling among Hispanics in Rosenberg at the time was that their vote wouldn’t matter and that no one would care if they voted, Galvan explained. She said it took years of block-walking and other forms of constant voter education to build a strong Hispanic turnout in the town. Not only did Juventud Unida educate citizens about their right to vote, its members took it one step further and educated citizens about the individual candidates. “You need to research and study about your candidate. It was an education process about who you are voting for,” Galvan said. Galvan remembers the first time she herself voted. It was at Travis Elementary School. In the years following her activity in Juventud Unida, Galvan stayed politically involved while also dedicating her life to young people. She received a bachelor’s degree in sociology from Prairie View A&M University in 1983. She later received her master's in the same subject in 1994 from Texas Southern University in Houston. She has worked as a juvenile detention officer with the Fort Bend Juvenile Probation Department, as a state parole officer and as a program manager for Communities and Schools of Houston, among other jobs. She has worked as an election judge and is currently in her third year as a precinct chair in her county. She also currently holds a position with the Boys and Girls Club of America. Outside of work, she has been involved in various organizations, including the League of United Latin American Citizens and Mexican American Youth Organization. Galvan married Ali Noureldin Mohamed Soloiman, a radiologist born in Egypt, in 2002. In the 30 years since she began her work with Juventud Unida, Galvan has seen significant improvements to the Hispanic voting condition in Rosenberg. However, there are still things that need to change. She has noticed that Rosenberg’s Democratic Party has fewer experienced volunteers working the voting booths than the Republican side. According to Galvan, in the last primary election, the Republican side had two bilingual volunteers to the Democrats' one, all very experienced in dealing with the complications of voting day. The Democratic side, on the other hand, had only one bilingual volunteer –- herself -- and all of the volunteers lacked experience. This, Galvan said, is something that needs to change in the community. However, Galvan recognizes her efforts over the years have not been in vain. “There is a more diverse group of candidates now, so it's good to know that our work wasn’t for nothing,” she said. Ms. Galvan was interviewed by Rebecca Chavoya in Richmond, Texas, on March 23, 2014.